news One of the first communities in Tasmania to receive the National Broadband Network’s fibre infrastructure has knocked back two planning applications for NBN wireless towers in the area, continuing a trend seen nationally of concern over the infrastructure. 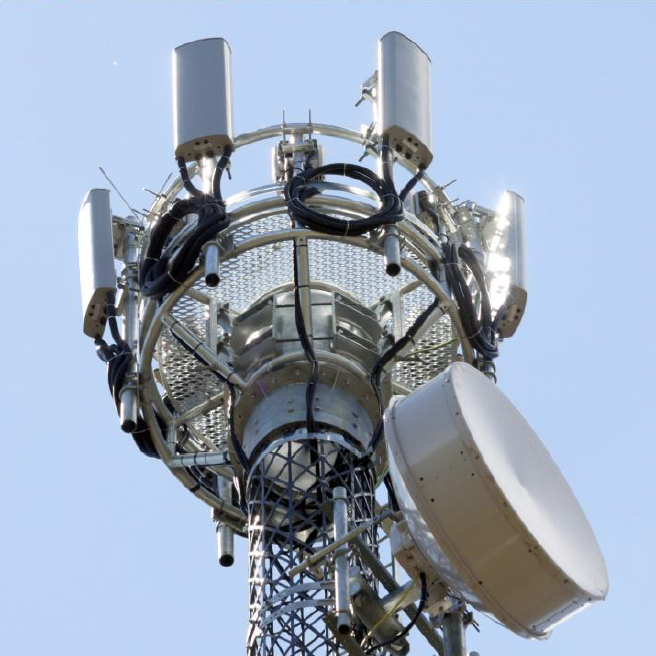 In briefing notes published following a meeting held by the Dorset Council in Tasmania on August 20, the council noted it had refused planning applications for NBN fixed wireless towers at the Scottsdale Golf Course and another tower in the suburb of Winnaleah. The council has not yet published the minutes for its meeting, which would be likely to reveal why it had blocked the two towers. Scottsdale was one of the first communities in Tasmania to receive NBN fibre, as part of early NBN rollout plans targeting the historically broadband-starved state. It is believed that the fibre infrastructure was strongly welcomed in the area. NBN Co has published a case study on its website from a pharmacy in the region, for example, discussing the benefits of the rollout. The news comes as a number councils all around Australia continue to reject the NBN’s wireless towers, which are being used to serve a small percentage of residents and business premises not served by the NBN’s predominantly fixed-line fibre infrastructure. In June, for example, Moorabool Shire voted down an NBN tower near Ballarat. In July, a tower outside of Warrnambool was similarly rejected, just a month after another tower was rejected in Napoleons. Residents of each area have commonly cited the visual impact of the towers in their region as being the issue, and some have also questioned whether the 12Mbps guaranteed speeds under the service would be an improvement on their current broadband access. NBN Co has commonly responded that it has tried to meet residents’ concerns, but was disappointed by the community concern. Where NBN Co is not able to erect wireless infrastructure, it will instead be forced to provide a significantly degraded level of service through satellite access, which provides much slower latency — and, until NBN Co launches its own satellite service through 2015 — slower speeds than those possible on the company’s wireless infrastructure. I live in Sydney, where there are various towers of many kinds as well as large buildings dotting every skyline, so it’s hard for me to really empathise with this kind of rural dissent against getting better broadband. I just don’t really understand why anyone would pass up getting significantly enhanced and guaranteed broadband to their property, just because if you happen to look in one direction, there’s a fairly minimal telecommunications tower. If I lived in such an area and a bunch of locals blocked my access to better broadband, I’d be fuming. Given what I know of the company, I also don’t think that NBN Co is going out there and finding unsuitable locations for towers; I’m sure that where it is installing towers, it’s finding as unobtrusive locations as possible, and not smack bang in the middle of famous views etc. However, it is also true that this kind of infrastructure is subject to local council approval; that’s what local councils are there for. Local residents do have their right to have a say, and if nothing else, this demonstrates the fact that they are engaged in their community, which can only be ultimately a good thing. Image credit: Adam Jakubiak, royalty free. Note: This is a stock image and does not represent one of NBN Co’s towers. A good portion of this may be political in nature. Many local shires, including my own rejected initial plans for telecommuncations expansions purely because we werent representing telstra when we applied. Of Course, without actually knowing – we’re just chasing ghosts. It’s an ugly eye site having one of these planted in your area or near your home, I understand where they are coming from. Telstra plonked one near my work yard in Welshpool, WA. With all the stories you hear about brain cancer and nasty waves coming out of those things, people just don’t want to be near them. Those stories have been shown to be scientifically inaccurate. WHO also rushed out world wide vaccines for the swine flu epidemic…where a massive 28 people died. It all comes down to the scope of the research and what was deemed as an acceptable risk. Take a look at FTTH / FTTN debate. The politics in and outside of WHO are the same. @ADAM did they rush out this report on wireless? That is such an “own goal” of an argument. The WHO rushed out millions of vaccines, and only 28 people died. That’s called a successful vaccination program! People who look at the low death rate of the swine flu and assume it was a minimal risk disease are deficient in the logic department. Actually that kind of argument is actually mathematically incorrect – which is the inherent problem with statistics. You can’t measure effectiveness of a vaccine because only 28 people died. You need to work out how many people were vaccinated and how many weren’t vaccinated. It’s pretty well documentated that WHO overreacted. Well firstly, I’d much rather they overreact than underreact. But even still, doesn’t their overreaction lend more credence to the claim that cell phone towers are safe? If they’re prone to overreaction, then they’d be more likely to declare them unsafe. And you still completely miss the point. I’m sorry, but I don’t see that the point can stand. Just because the World Health Organisation might have been wrong on one point doesn’t mean it might be wrong on another point. Actually, I agree that the swine flu seems to have been a beat up, and I thought so at the time, but their conclusion about radiation from towers may well be correct. Failure in one area, even if true, doesn’t automatically mean failure in all areas. While I agree that there is no scientific evidence for electromagnetic sensitivity, there is also no scientific explanation for what this guy suffers. Not a whole lot of fact in that article. “The majority of provocation trials to date have found that self-described sufferers of electromagnetic hypersensitivity are unable to distinguish between exposure to real and fake electromagnetic fields” (yes I know that quote is from wikipedia but the citation look legit) . People believe all sorts of crap doesn’t mean they’re right, but what you believe can have very real effects on your health. Just ask anyone who has suffered a stress related illness from what is largely psychological stress. Well, personally I’m not losing any sleep over it, inverse square law and all that – I know that energy wise having a one or two watt transmitter close to my head is worse than a tower a couple of kilometers away. I’m far from worried about getting cancer from “radiation” (which, imho, is a central misunderstanding for the paranoid). But did any of you see Catalyst the other week? The gist of that was that there was no obvious mechanism, but still some scientist think there _might_ be something to it… wavelengths, modulation, power – that’s a lot of ground to cover research wise. I’m neither a biologist or an RF guy, but it seemed reasonably balanced and plausable. apologies, but I won’t permit discussion on Delimiter of whether mobile phone/wireless broadband towers cause cancer/other illnesses or not. The facts have been in on this for a long time, and the truth is that they don’t. I will not permit conspiracy theories of this nature on the site. Any comments going into this in detail will be deleted. Yup sorry for bringing that up. Back to the discussion! So the statement that WHO has determined no risk is actually false, end of story. They’ve determined that it is “possibly carcinogenic” [THEIR OWN WORDS], with no conclusive evidence but deserving of continued research. Obviously this is drawing a long bow in terms of NBN towers at 50m above ground, so call it off-topic, but do not call it a conspiracy theory and cite the WHO as a source! and apologies, you didn’t cite WHO as a source Renai, other people did. my bad! Anyway I’m pretty sure these concerns are mostly visual in nature. How many towers in that area were approved, does anyone know? I assume it was two rejections out of something. Yeah and coffee is in that exact same ‘possibly carcinogenic’ category. You don’t see people stopping drinking it nor councils banning coffee stores. It sounds alarmist, but it doesn’t mean what you think it means. Yeah, but nothing like a wife’s tale to get people all emotional about these things. My uncle’s aunt’s second cousin twice removed heard from a neighbour that these give you brain cancer – let’s not approve it! Thats the problem. Not only has that never been proven, hypochondriacs galore will be in on the act to have them blocked. We find its typically the older generation that are against it or believe things like this. I’ve only been to a couple of applications to council over development. Honestly, trying to dispel these myths are impossible when they become incredibly entrenched. I had a customer of one of the dealer stores mention to me yesterday (was doing some store visits) that he is actually sensitive to the technology. While this HAS been proven to be true, even he said that he’d never give up using wireless technologies, purely out of necessity. Yeah true true they are just stories, and usually from ACA or Today Tonight (I just vomited a little in my mouth). The tower has been there for about 10-12 (?) years now and my head is doing just fine. Got to love sensationalist reporting! I would imagine them being different depending on the location. If they need to be higher then I guess they would be bigger, but the link Michael Wyres posted above is a typical looking one I guess. Some around town are single pole units, others I’ve seen are braced frames as they are taller and have more on it. From what I have read, they are a >40m tall, monolithic tower with what appears to be a number of omni directional antennae or a complex multi element antenna right at the top. Another community losing out thanks to misinformation and political zealotry. I won’t lose any sleep over it, until it happens to the whole country come the next election. Hopefully these NIMBYs have friends in neighbouring towns who will tell them just what they are missing out on. Supporting your negative arguments by grabbing bits and pieces off the internet from un-researched and non peer reviewed papers seems to be what people seem to take comfort in – science being far too ‘elitist’ for most to relate to. Because there’s always somebody who profits from the status quo, and quite often they are willing to lie to maintain it. Well, to be fair to the anti-smart-meter brigade, smart meters only advantage power companies, who don’t want to build new infrastructure to meet peak demand for a few hours each year. But they’re very happy to invest billions into pole and wire infrastructure which they can charge back through power bills. I’ve got a smart meter at home, and during 2pm – 6pm, i get slugged nearly 55c per kilowatt hour of energy. In my previous property, which did not have a smart meter, I was paying 17c per kilowatt hour, at any time of day. Sorry, 2pm – 8pm is peak. And before you say “yeah but what about the heavily discounted off-peak rate that you get” — the off-peak rate is only available between 10pm and 8am, and it’s 15c per kilowatt hour… almost the same rate as what I used to get 24 hours a day at my previous property. I’ve been switched to TOU, and while I was initially concerned about the high Peak rates, I now see that I will SAVE money because my Off Peak usage over the weekend is greater than I thought. If they tried putting in smart meters here I”d be using all the FUD I could find to stop it. Radiation signals, increased prices, potential for the meters to hack our personal data, all the BS I could spew. Smart meters are nothing but price gouging mechanisms. Actually, the price of electricity fluctuates throughout the day. When demand increases, the price goes up. Some of the manufacturing plants pay huge $$ when they consume electricity at peak times. At the moment, households are insulated from the fluctuations as the electricity companies don’t know when you’re using power. If we do move to smart meters, then that can all change and we’ll probably end up paying more for electricity while at the same time being told that we’ll all save money. In Queensland, we all reduced our electricity consumption so the electricity companies put their prices up to cover the profit gap. The idea sounds good…but we’ll probably pay more. Those big customers also pay by power factor, which also has a significant effect generation requirements. That time of day load based billing is why you see big companies putting water chiller aircon systems in. Anyone using less than $100,000 p.a. in power must be on a Gov’t fixed tariff. Residential has about 3 options (normal, off-peak, hot water heating only) and for Commercial there are several. The most common is peak/off peak (Tariff 22) with demand the next most common. Demand billing multiplies your total consumption by a demand factor that is determined by your HIGHEST demand requirement for the month. Unfortunately remote Tassie areas have a history of knocking back development of all sorts. People take the natural appearance of places like Scottsdale very seriously, and the thought of a giant tower shadowing over the local golf course has no doubt freaked some local residents out. It’s highly frustrating to continuously watch devlopments being knocked back even in populated areas like Hobart, due to environmental concerns or people simply not willing to alter their view. The ironic thing is, if all these ignorant people that think “wireless is the future” had any idea how many towers we’s need to deliver consistent LTE speeds cross Australia, they would have an instant panic attack and embrace the NBN’s mildly visible infrastructure in a heartbeat. Part of the problem may be that NBNCo seems to be using all new sites (as far as I can tell). These often ARE an eyesore. Perhaps they should be willing to use the tops of buildings, etc. 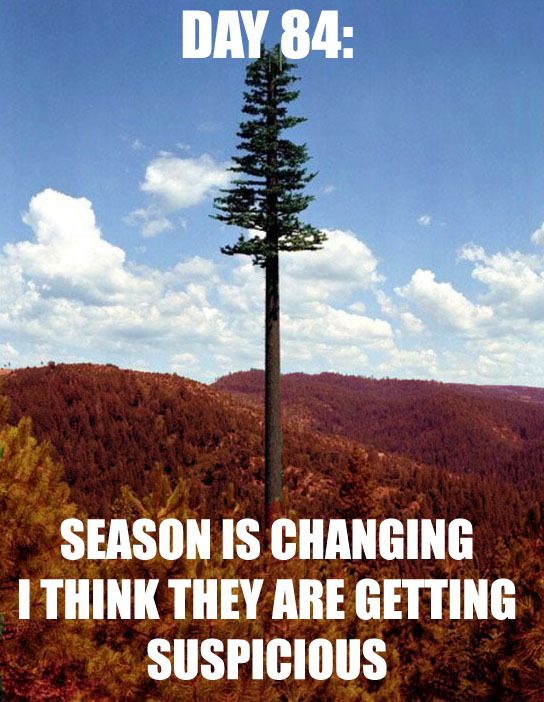 as the mobile phone operators do. Obviously this does involve more paperwork dealing with building owners etc. Rubbish, more paperwork involved with rooftop sites than tower sites due to liability etc. And how many buildings in rural tassy are more than one storey high? Think before you speak. NBN would be using rooftops where possible as installations on rooftops don’t need planning. These sites are hardly an eyesore. Me too. I love looking at communication towers because they remind me of man’s ability to communicate via towers (hope people have seen “The Castle” :) ). Have you seen the size of the power poles used through rural communities? Or the newer windmills? Both are massive eyesores and yet absolutely necessary for the communities’ survival. There are already wireless broadcast towers all around the country for emergency services et, al. and the NBN towers will certainly be no more obtrusive then them. There is no substantive reason for communities to block this sort of infrastructure from being deployed other then either political motivation or blatant ignorance. What pisses me off is that Tasmania has by far the most to gain from the NBN, and if people would just accept its happening, and approve the necessary infrastructure without delay, the entire state could be wired up by the end of 2015. If Turnbull truly does plan to cancel or rework the entire NBN if elected, then Tasmania will have a significant advantage over other states at that stage, which I’m sure everyone will be very unhappy about. I’m set to get the NBN in Hobart in as little as 12 months, but its the potential ubiquity of FTTH across Australia that excites me more than my own personal 100mbps connection. Morons. The Government should over-ride these backwards luddites. I live in a small village in south west Tasmania , we have sweeping views of snow covered mountains and a beautiful valley with a river full of trout, in the middle of all this two towers Optus & Telstra within a few hundred meters of each other. If I happen to notice these towers at all I think is thank god they are there other wise we would be stuck with either dial-up or just as useless satellite broadband. As it is we won’t be getting wireless and the nearest optical cable install will be around 65k from here in three years. Some people do not know when they have it so good. I wont even waste my breath proving how wrong you are. Swine Flu killed far more than 29 people. I asked the same question on Whirlpool some time ago discussing the same controversy near Ballarat. This is what I got- carbon fibre! To NBN Co management, just move on when these are rejected, I’m sure there are many places around the country that will welcome you with open arms. They already have. There was a case where a local council rejected the NBN tower, then NBN refused to appeal it to the (IIRC) Victorian Administrative Appeals Tribunal (or some other similar group), and then the Local Council got mad and came out asking for the State and Federal governments to step in and force NBN to put up towers. The council wanted to force NBN to have to appeal so they could have the appeal tribunal as the scapegoal, NBN wanted nothing to do with their powerplay and canned the whole install. Good job council. Customer: So what can i use? Customer: What not even wireless? Customer: Arr it’s ok atleast we didn’t waste the peoples money, satellite will do for all my future needs. Meanwhile the NBN wireless proceeds apace in Armidale, Tamworth and many other regional locations. It’s reminiscent of the closing minutes of the colliery band film, Brassed Off, where the bandmaster refused the national trophy at the Royal Albert Hall in order to make news and highlight to the media the poverty arising from colliery closures in the 1980s. Once he had delivered his sound bite, they grabbed the trophy. If a few NBN towers are delayed, it will be locally annoying to some people, but the rollout continues everywhere else. Renai – Reading the info from the Dorset council site at http://www.dorset.tas.gov.au/page.aspx?u=195&c=1628 the council actually APPROVED the Winnaleah tower; they only rejected the Scottsdale one. After a year of rejections maybe NBNCo can show the cost savings of moving these communities to satellite – am sure it’s cheaper than fixed wireless. The one thing that nobody mentioned (hard to tell with all the drivel about WHO vaccines, cancer etc) is that councils are probably still testing out the waters to see if they can blackmail NBNco to do fibre in these wireless areas. NBNco has previously said they will not be tricked into it however it’s still early days so I think councils are flexing their muscles to see if under the current heavily political climate they might end up winning. Personally I think NBNco should move on,, leave the bastards with nothing and do a letter drop n the area explaining why the residents won’t get it along with all the names on the rural council who opposed it. That way the residents won’t start bitching “see the NBN is crap, we never got it” but will make sure those councillors never see the light of day again. It will also discourage future council rebels if they know they will be exposed to the residents by NBNco writting to them. Straight to satellite for them……well, sometime in the future….when its ready…no stuffing around, move on to the next site. Well, they’ve had their chance. It’s their democratic right to reject the application – which they did. PRESUMABLY they would have been aware of the consequences/alternative if they knocked these towers back. So screw ’em, and I hope their constituents really enjoy their satellite experience – I trust that annoyed residents of their community tell everyone else that THEIR COUNCIL was the luddite mob that rejected the request. Does this mean that my connection has now jumped one extra spot in the queue? 1) The “Reject Wireless and get FTTH” gambit. 2) The “Reject Wireless and force NBN to appeal” gambit. By forcing the NBNco to appeal to the planning appeals board, (these build appeals are successful in a vast majority of cases), the council gets to wash their hands of the situation by saying that NBNCo the evil Big Government org went over their heads to appeal to another evil Big Government org. Of course, these councils should be advised that NBN co isn’t going to play the games. The last time a council rejected a tower they said “fine” and moved on. No appeal, no FTTH. Then the council cried about it in the media. After they rejected the tower. Amazing. If that is not their intention, they are throwing out the baby with the bath water. 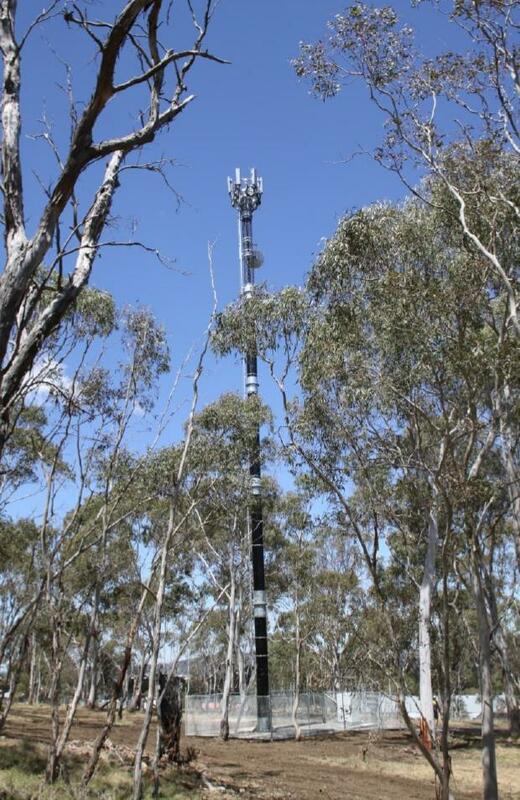 Is the picture attached to the article an NBN fixed wireless tower or just a generic communications tower? Surely they could make it a little more aesthetically appealing? That thing is fugly! The Dorset Council only rejected one of the two towers, the Winnaleah tower did not visually degrade the area and was away from the town, it was not rejected. The Scottsdale tower was rejected because it was very close to houses, spoiled a panoramic view from a recently built walking track and more importantly did not follow the NBN’s own policy of co location. There is an existing Optus tower less than 1km away which could have been added to. That tower is out ot town and surrounded by trees from most sides. NBN have already indicated that in Bridport, which is only 20km away they intend utilising an existing Optus tower for the fixes wireless. note Bridport will get optic fibre. The Dorset Council was given very little information about the technical needs re the Scottsdale tower and NBN did not consult with the community prior to applying for the development. I believe most of the problem with the Scottsdale tower would have been avoided if NBN had followed their own due process. 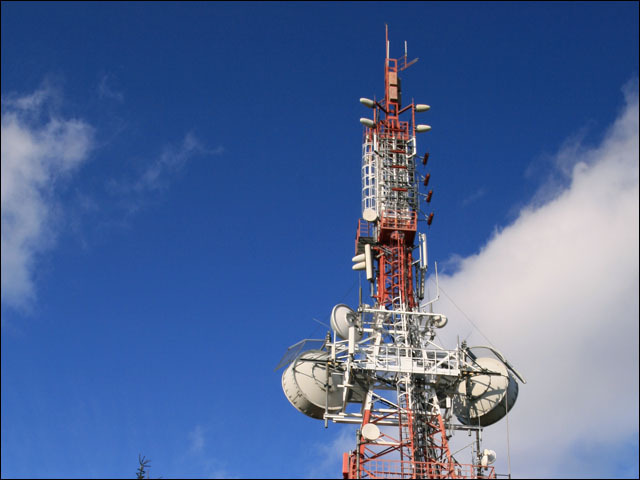 Dorset rsidents want fixed wireless, they just want to have some say in where the towers go.